IG88VSBossk wrote: » Reading up on Ig 88, he was ambushed and killed by Boba Fett for tracking him to Bespin. Idk should've would've could've lol There were several IG-88s though Which version was that? ND513 wrote: » Idk. Dengar.. Was he even on bespin? IG makes way more sense imo. Plus he'd be the only playable droid so far. Which would be really new and refreshing I agree with you. IG-88 would have been very fun. 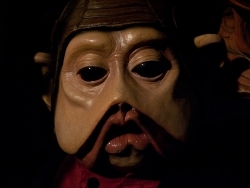 I really don't think they had a choice but to announce more heroes, huehue The backlash against Greedo and Nien Nunb was tremendous. Man, shut up Dennis huehuehue No one wanted Dengar.